Shaila Abdullah is the founder and senior editor of Hyphenated Spirit. 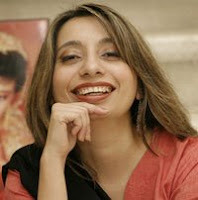 She is a Pakistani-American author and designer based in Austin, Texas is the founder of Hyphenated Spirit. She maintains a fairly active blog online by the name of Cayenne Lit around the literary work of diverse authors. She has published two books: Saffron Dreams and Beyond the Cayenne Wall. Visit her website to learn more. Sweta Srivastava Vikram is the editor of Hyphenated Spirit. She is an author, poet, and blogger living in New York City. She has published two books: Pabulum and Inner Voices (one of Sweta’s stories is a part of the short stories collection). Her work has also appeared in other publications. She maintains an active, opinion-based blog focused on culture, philosophy, art, and life at Pandorastwocents. Visit her website to learn more.